The S88 pH Sensors are one part of the Model S88 Intelligent Sensors product line. 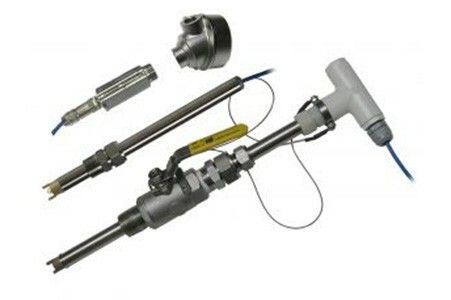 The S88 Sensors offering includes pH Sensors, ORP Sensors, Ion Selective Sensors, Dissolved Oxygen Sensors, Conductivity Sensors and Resistivity Sensors. The S88 sensors have two Universal Sensor Designs; Insertion/Submersion or Valve Retractable with flared end to prevent blow out. The standard S88 sensors have 316 Stainless Steel housings although various materials of construction are available to maximize sensor performance while minimizing cost of ownership. For other materials of construction request a quotation from the factory.